Openwork embroidery (done redwork style) with a monthly design. 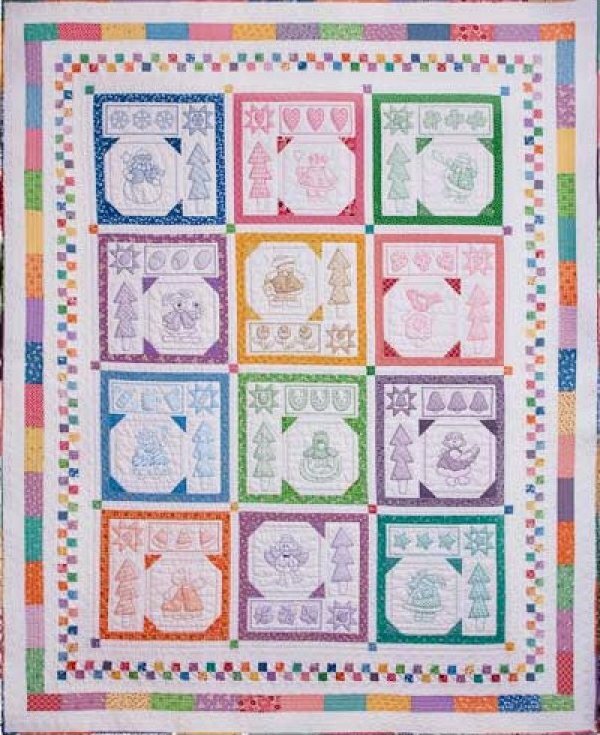 Each block has a small Ohio star framing a design related to the month. Small motifs are shown in a fram above/below the main motif.